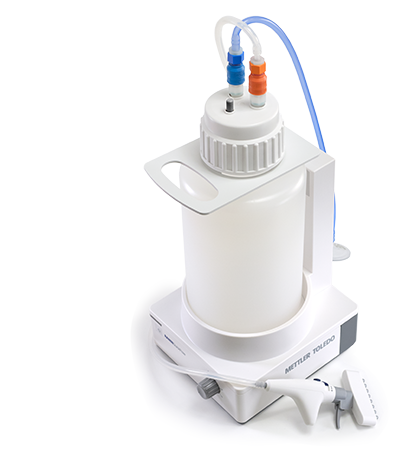 The Rainin QuickFlow combines exceptional ergonomics with smart features and a robust design to facilitate aspiration from primary and secondary cell cultures, suspension cultures, DNA, RNA and protein extractions, and other workflows requiring precision removal of liquids. 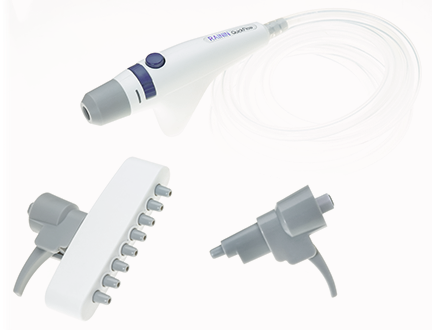 Labs with central vacuum systems can purchase QuickFlow's handle and adapter kit separately. Rigorous testing and scrutiny of every component assure years of trouble-free performance. QuickFlow is easy to use, easy to clean and, best of all, easy on your hands. Whatever your application, QuickFlow has an adapter to meet your need. Single- and multichannel adapters work with universal-fit pipette tips. 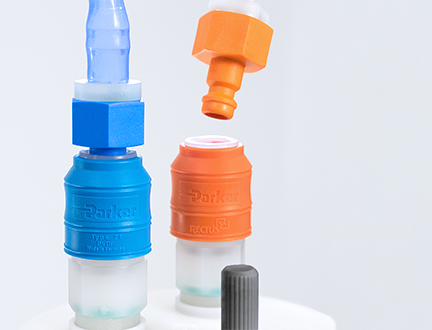 Along with the Pasteur pipette adapter, all connect quickly, operate smoothly and are high-quality for durable, long lasting performance. QuickFlow’s continuous mode isn’t just more efficient – it’s a hand saver. Repeatedly pressing and holding down the aspiration button demands excessive effort which, over a long cycle of aspirations, can contribute to repetitive strain injury. QuickFlow eliminates this problem by allowing users to select continuous flow and the amount of suction. QuickFlow’s non-contact level sensor offers exceptional performance and reliability. Because the sensor never comes in contact with liquids, cleaning and cleanliness are never an issue. The sensor stops the vacuum when the bottle reaches capacity and is proven to provide a long service life. With self-sealing quick connectors, QuickFlow is designed for easy and intuitive disassembly and reassembly. All parts that come in contact with liquids, including the handle, tubing, adapters, cap and reservoir, are easy to clean and autoclavable. All that come in direct contact with the liquid are easy to clean and can withstand steam sterilization at 121 °C. 1. What type of chemical reagents can be used with QuickFlow? to the interior of the handle. 2. Can the QuickFlow portable aspirator be used as part of a vacuum manifold setup? 3. Can QuickFlow be used in a biosafety cabinet? Yes. Both the base unit and handle can be used in a biosafety cabinet. 4. Can the handle assembly be used with any central vacuum system? removal in the lab can also be used to connect the handle. 5. Do LTS tips fit on the single- and multi-tip adapters? 6. Can filter tips be used with single- or multi-tip adapters? No. Do not use filter tips or filtered Pasteur pipettes with QuickFlow. 7. Which QuickFlow parts are autoclavable? The QuickFlow handle, adapters, tubes, caps and collection bottle are all autoclavable. 8. Should I autoclave the full collecting bottle of supernatant / used culture media before emptying it? Yes. Autoclave a full collecting bottle to eliminate infectious or other problematic constituents of collected liquid.